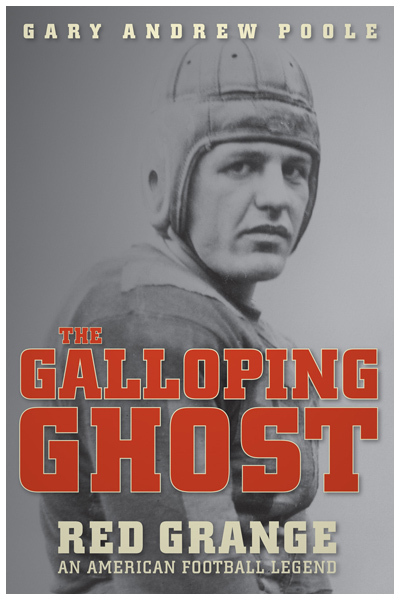 The Galloping Ghost: Red Grange, an American Football Legend (Houghton Mifflin, 2008) is the story of Harold “Red” Grange who played American football in the 1920s. Back in the “Golden Age of Sports,” he was a huge star. Grange is still considered the greatest ever college football player (he definitely has the most literary nickname), and his decision to turn pro helped bring legitimacy and popularity to the National Football League. The Galloping Ghost has been called the definitive portrait of the football legend. Several reviewers—from the Washington Post to Sports Illustrated—heaped a lot of nice hyperbole on it, calling the book “exquisite,” “superb,” “terrific,” “extremely well-researched,” “an ideal read for football fans,” “top-notch story-telling,” and so forth. It has been compared to Cinderella Man, The Devil and Sonny Liston, and The Devil in the White City.